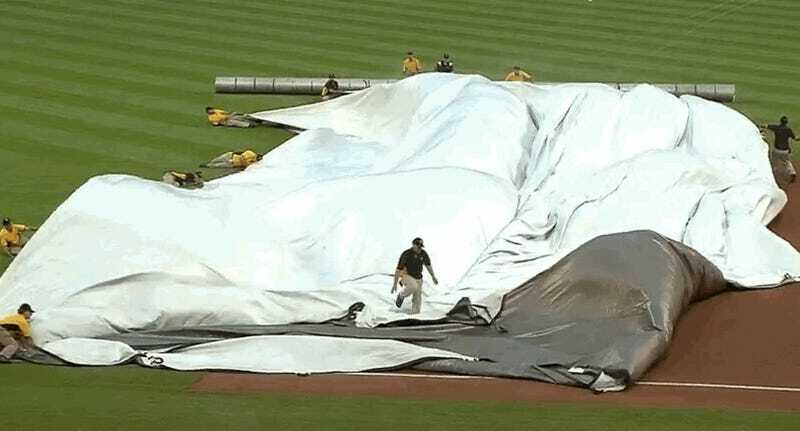 The grounds crew at New Three Rivers Stadium was handed a nearly impossible mission Tuesday night, tasked with unfurling the rain tarp in the face of pounding rain and gusting wind. 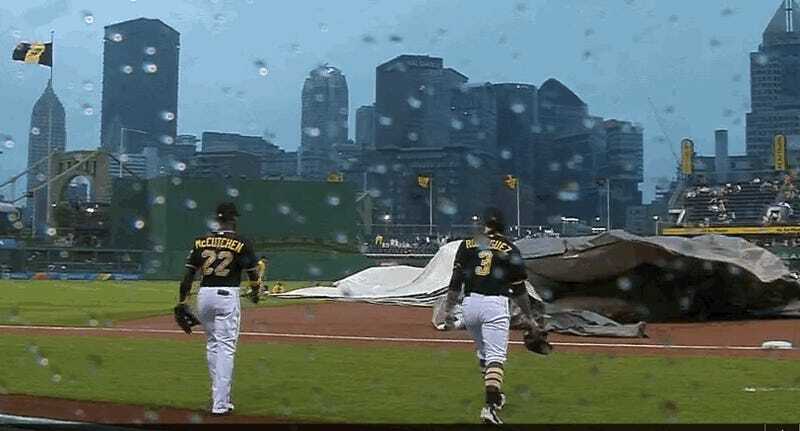 As you can see, one unfortunate soul almost paid the ultimate price, as the tarp demon did its best to take him to baseball Valhalla. Luckily some young guys in the neighborhood—heroes, you might call them—jumped into the fray at the drop of a glove to provide assistance. And here is the full six minute (!) video of the encounter.